You'll be £8.99 closer to your next £10.00 credit when you purchase Centurion. What's this? 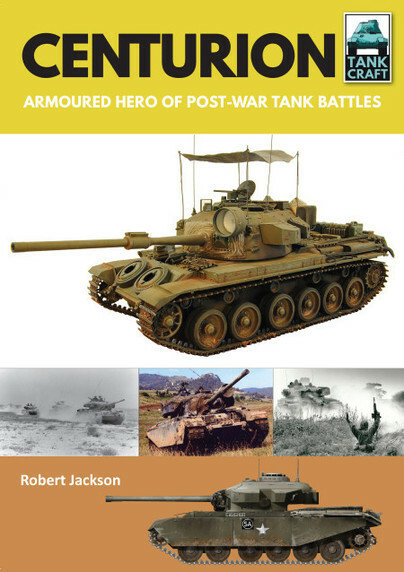 As well as tracing the history of the Centurion, Robert Jackson's book is an excellent source of reference for the modeller, providing details of available kits and photographs of award-winning models, together with artworks showing the colour schemes applied to these tanks. Each section of the book is supported by a wealth of archive photographs. This is a good book on the Centurion tank is well written and has some very nice photographs. Gamers will find this book a useful reference, painting guide, and inspiration for scenarios. A useful guide to the Centurion tank for modellers.